This book is great for understanding differences between people around us. We may not look the same but may have common interests. I think this book would be good for any grade but for reading purposes it may be good for higher grades because of the language and how many words are on a page. 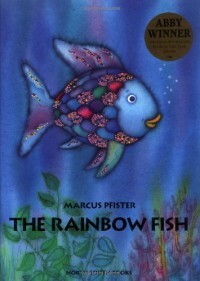 I would use this in my classroom by giving the students a blank picture of the rainbow fish and they are to decorate it in anyway they feel. This will demonstrate that everyone is different and unique. The students could also write positive attributes about themselves that makes them unique. The Lexile Level is AD410L. This book is great for showing that when you put your mind to something you can do anything. That having self talks with ourselves are healthy and very encouraging at times. This book shows that doubting yourself does not get you anywhere but confidence and perseverance does. 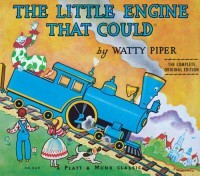 I would use this in my classroom by giving them a train that has "I think I can..." and they will have to write things that they can do and are good at. After they write this they can draw themselves in the train and we will hang them on a track going up a hill and hang in the hallway. My classroom will be filled with encouraging words and positive thoughts. I think this book could be read with anyone but is mainly for the younger grades. The Lexile Level is AD740L. 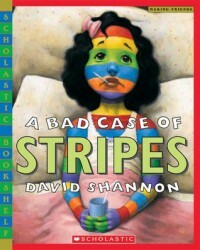 This book was one of my favorites when I was younger and going through school. I think this book shows so much friendship in it and would be good for any grade. 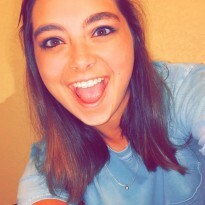 It has a good message of not giving up on friends and always being yourself. I would use this in the classroom by allowing them to make their own web. They will be able to whatever they wanted but it had to describe them. I could also say you had to choose one person in the classroom and do a web for them. We would then hang these in the hallway so everyone could see our webs of encouragement. The Lexile Level is 680L. This is a good book to show for sequence of events and chronological order. I would use this in my classroom by having them all pick an animal from the book and getting in a group. We will then play the song and as their animal was said they would have to stand up and act like that animal. I could also use this as a time to relate to other concepts such as long vowel sounds. I would get a tissue box and dress it up as an old lady and they could say that the old lady swallowed long vowel sounds and have to place words in the box. I think this book could be read at any grade level. The Lexile Level is AD250L. I think this book would be good for bullying situations. The young boy in the story was feeling down because a teammate made fun of him and did not invite him to parties. His dad made an enemy pie. In the end the boys were able to put away their differences and see that they are not so different after all. 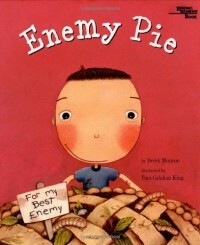 I will use this book in my class by allowing the students to create their own enemy pie. This will be characteristics of bullies that will be written as ingredients such as 1 pint of mean words and 3 teaspoons of taunting. Then as a class we will create a friendship pie and include characteristics of friends. I think this could be read to 2nd graders and up. The Lexile Level is AD330L. 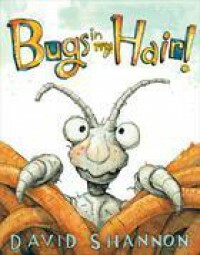 This book is about lice. It is about the discovery and journey of getting lice and managing it. I think this would be great to read in the classroom. We can have a health week the month or season lice really starts to show up in student's hair. We can read the book and then talk about the techniques of not getting lice. When we are done, we will then draw a lice on a piece of paper and give them all names. We will then write ways to help not get lice and place them on a bigger piece of paper that is in a shape of a head. The reading grade I thought would be good was Kindergarten and up. I think any grade could benefit from this book. The Lexile Level is AD520L. This book would be good for looking at the perception of situations or for looking at the creative minds of others. After we read the book, I would give them a piece of paper and they will draw a duck or a rabbit and we will vote on which animal we thought it was. Perception in a child's eye is important because they see things that we don't. I would want to foster their creativity and allow them to express themselves in whatever way they want. The reading grade for this book I think is Kindergarten and up. You can use this in any grade to show differences and perception. The Lexile Level is AD20L. This book would inspire my students to wish and dream to be anything they want to be when they grow up. 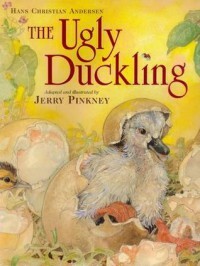 The ugly duckling went through moments of his life and felt unwanted and some of my students will feel this way. I think reading this book would give them the confidence they need to persevere through any hard time in their life. 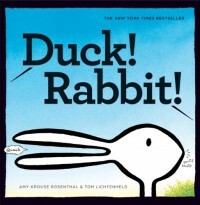 I would read the book to them and show them how to make a comic strip that we will use to track the ducklings progress. With each transformation, we will draw the ducklings situation until it reaches a swan in which he finally felt accepted by others. I think this book is directed towards 2nd grade and up because of the acceptance factor. The students in these ages and grades are trying to find themselves and where they belong in this world. I think this book would help with their self journey. The Lexile Level is 40L. 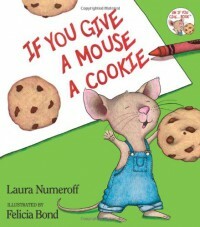 This book is about giving a mouse a cookie and this event leading to him wanting more and more each time. I would use this in my classroom by demonstrating order of events and how we are always wanting more when we get something. I would create more sequences of events and separate the class into groups and give them a list of cause and effect situations. They will be assigned to placing the cause to the effect and then acting out their favorite one. When I first saw the book, I was thinking the book could be on a second to third grade level because of the sequence of events. The Lexile Level is AD660L. 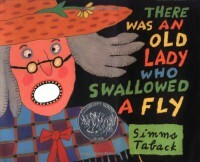 This book is about the caterpillar eating more and more food in order to become a beautiful butterfly. I would use this in my classroom by reading the book and talking about personal growth. I think we could do an activity that would involve them talking about what they want to be when they grow up and what they can do to get their. We might can even have a show and tell career day. I think this is for children in 1st grade and higher. The Lexile Level is AD460L. I like this book because it teaches about unconditional love. 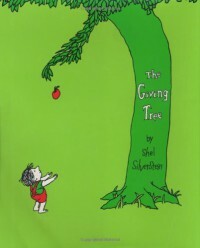 The tree gave the little boy everything he wanted and asked for even though the tree never got anything in return. I could use this in my classroom by reading the book and then giving them all an apple and place nice things in the apple about their unconditional towards others. I would then hang the apples on our classroom tree and place in the hall for all to see. The activity could help them see that we should be nice to other people. The reading level I feel this falls under is 3rd to 5th grade. The Lexile Level is 530L. I like this book because it teaches children that eating their vegetables are important. 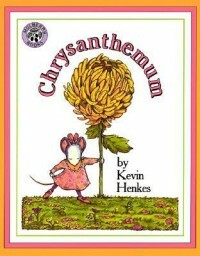 This book is colorful and imaginative so children would be able to follow along well. I would use this in my classroom when we talk about the food pyramid and how important the food groups are to our health. This book, in my opinion, is geared towards 3d through 5th grade. The Lexile Level is AD540L. 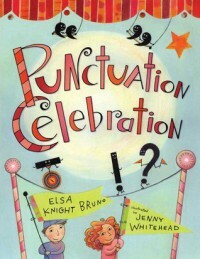 This book is good for learning about how to use punctuation and how important it is. 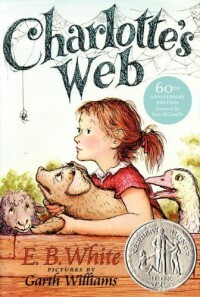 The book could be used in my classroom by learning about expressions in reading and how they help us be fluent readers. We could go over sentences and say them in different manners so choose which punctuation is correct. The book would be useful by reading and showing examples of how important punctuation really is. I think this book would fall in the K to 2nd grade area. The Lexile Level is 650L. 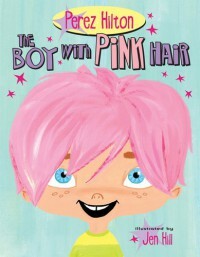 This book is good to read to students because it could boost their self esteem and creativity. I like this book because it showed that you can draw anything you want and use your imagination for the better. 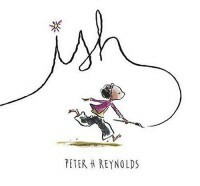 I would use this in my classroom by reading the story and then letting them draw whatever they wanted and writing at the top whatever it is suppose to be with "ish" following. I think this book is for K to 2nd grade. The Lexile Level is 440L. I think this book is good for students when learning about new and unique names. I think it would be good to use at the beginning of the school year when learning about acceptance. The students can learn that each person is unique and special in their own way and we will not make fun of others because they are different from us. I would read the book and then give them an activity sheet in which they will have to go and find out three new things about three other classmates. I believe this book could be read to 1st to 4th graders. The Lexile Level is 460L.